1. Adjust Feed Speed. (LX900 Only). If you are printing at Quality 2 or lower on a small label it is possible that the slack loop system is not keeping up with the print speed. This may cause the labels to slip and print over and over on the same spot. To fix this, adjust the Feed Speed to 3.0. Click the info icon - choose App Options. 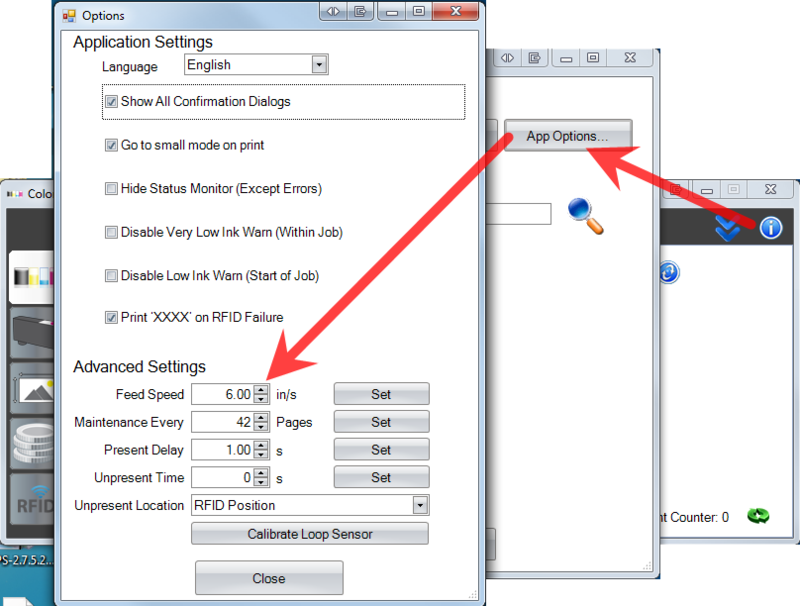 Set Feed Speed to 3.0 and click Set. 2. Roll Guide. (LX810-LX900-LX2000) Make sure the Roll Guide is not too tight against the roll of label stock. Some rolls may have labels near the end of the roll that are not lined up with the rest of the roll. They may protrude out farther than the rest of the labels. With stock such as this, it may be necessary to back off the roll guide 1/8 to 1/4 inch from the roll. Regardless of the what your stock looks like, make sure that it can easily roll on the roller. a. Unload the label stock and remove it from the printer. b. Turn off the printer. c. While holding down the feed button, turn the printer power back on. d. Reload the label stock. 4. Tear Bar. 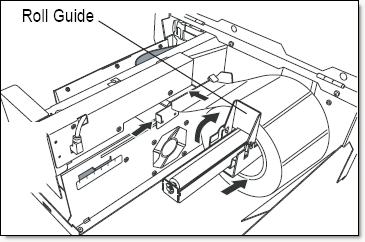 If your labels are being fed into a box on the floor after printing, we recommend installing the tear bar guard on the serrated tear bar on the front of the printer. If it is not installed, it is possible that the label stock could catch on the tear bar and cause the feed rollers to slip.